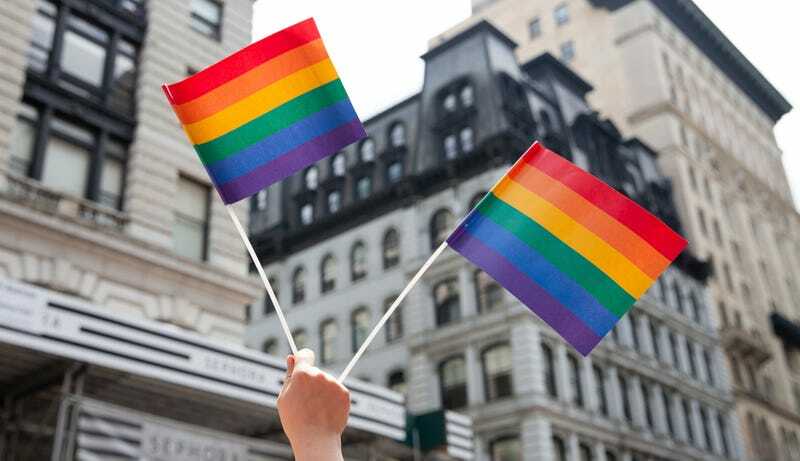 On Tuesday, the New York State Legislature voted to ban LGBTQ conversion therapy—a cruel, dangerous, and medically discredited practice that attempts to change a minor’s sexual orientation or gender identity—making it the 15th state to do so. Gothamist reports that the newly approved measure will subject practitioners to “discipline by the provider’s licensing entity.” As this language suggests, the bill will not apply to counseling services that take place informally, such as clergy or other non-licensed practitioners. UCLA’s Williams Institute estimated in a report last January that some 698,000 adults in the U.S. have already endured this faux-therapeutic form of discrimination. The Associated Press reports that the bill also contains an anti-bias measure which will add gender identity and gender expression to the state’s list of protected classes under its anti-discrimination laws. So, what took New York so long? Gothamist reports that the measure was previously unpopular in the New York State Senate, but that the recent influx of Democrats (forming a majority) allowed the bill to pass 57-4. According to the AP, both measures passed the Democratic Assembly many times, only to be blocked by the Senate. New York’s governor and self-styled L-train whisperer Andrew Cuomo tweeted his support for the bill which he plans to sign into law. The New York City Council voted to ban conversions therapy in 2017.